Located in Chelmsford, Essex, LuxClassics specialises in premium classic car sales and restoration of marques such as Mercedes-Benz, Porsche, Jaguar, Ferrari and Aston Martin. Our showroom and workshop offers easy access from the M25 and is approximately 35 miles from London’s Canary Wharf. The showroom is supported by extensive workshops, staffed by a highly dedicated team of experts, who are well rehearsed in the preservation and care of fine automobiles. At LuxClassics we believe strongly in attention to detail and that many cars are functional works of art – made to be driven. After all, good preparation for ‘driving classics’ is essential for driving passion. Parry Chana first inherited his love for all things mechanical from his father, an engineer with East Africa Airways, who went on to work for Jack Barclay Rolls-Royce. Ultimately, he set up his own workshop in the United Kingdom, as well as a Mercedes-Benz restoration shop in Los Angeles. Parry spent his youth working with his father on cars and developed an incredible understanding and sympathy for classic cars, in particular Mercedes-Benz, Ferrari, Porsche, Aston Martin and Jaguar. Parry trained with a firm of Chartered Accountants in the city of London, utilising his knowledge, detail and hands on attention in restoration to pursue his earnest passion for classic cars. 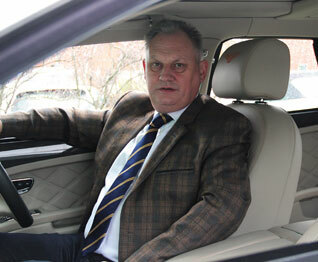 Parry has served as a Concours judge amongst other Pebble Beach judges at events including the Warren Classics, Brooklands Double-Twelve, The Mercedes-Benz Club and at other marque club events. He has completed many well known restorations, many of which, have been Concours winning cars. His cars have featured on TV documentaries and in books and magazines. He also owns a Mercedes-Benz 190SL in Concours condition. Parry’s specialist knowledge resides in Jaguar E-Types and XK models, Ferrari 308GTS, 330GTC, Aston Martin DB4, DB5, Porsche 356’s and early 911’s. 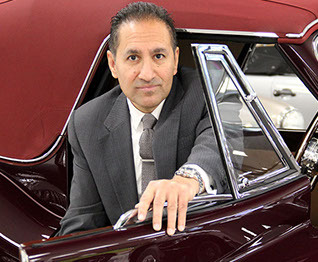 He also has extensive knowledge of Mercedes-Benz W198, 300SL Gullwing Coupe and Roadster, W121, 190SL, W113 Pagoda, W107SL and all pre-1970 coupe and cabriolet. Michael’s passion for motor vehicles goes back to fond memories of the Earls Court London Motor Show as a child. His youth was spent perusing magazines and visiting exotic car dealerships where he developed an incredible eye for detail and design. Michael’s career path took him into the high-end Chauffeur industry, working closely with numerous high-net-worth individuals, soon realising he had a skill and passion for sourcing vehicles to personal requirements. His specialist knowledge is built on hands-on driving, not only the classic cars of his childhood, but privileged to have driven the world’s most exotic hyper, super and prestige marques too.